For the George Jones album, see And Along Came Jones. 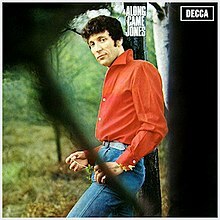 Along Came Jones is the 1965 debut album recorded by Tom Jones and included his massive hit single "It's Not Unusual". The album reached No 11. Some of the songs were covers and some were written especially for Jones like the Gordon Mills-penned "The Rose". 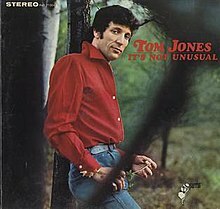 In July 1965 Parrot Records (USA, Canada) issued an abridged (12 track) version of the album, titled It's Not Unusual.